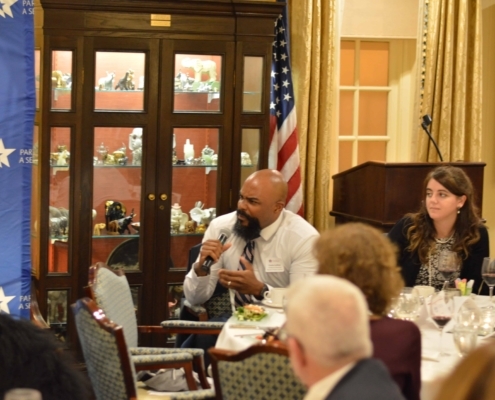 On January 24th – The Partnership for a Secure America held an off-the-record dinner for alumni of the Congressional Partnership Program with former Homeland Security Advisor, Frances Townsend. 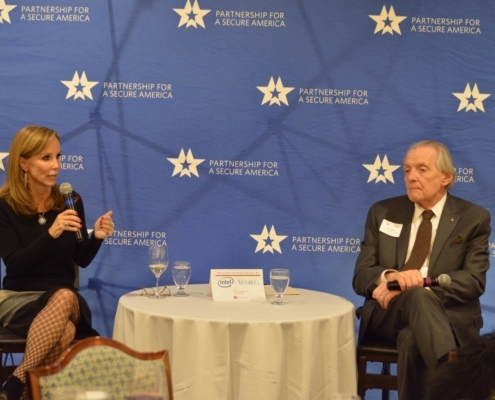 Ms. Townsend discussed today’s pressing foreign policy and national security challenges. 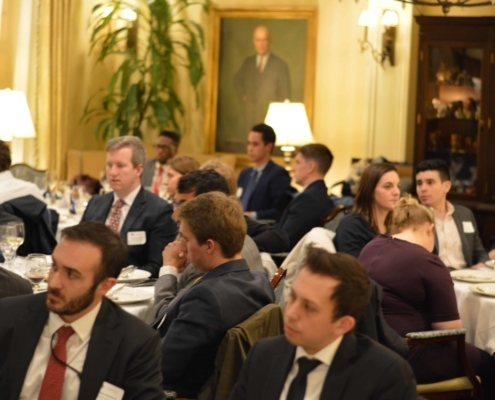 This event was made possible by the generous support of Intel, Venable LLP, and the Carnegie Corporation of New York. 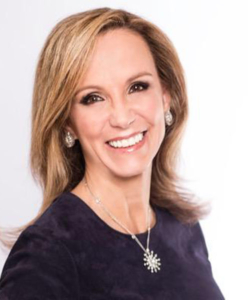 Frances Townsend is the Senior Vice President of Worldwide Government, Legal and Business Affairs at MacAndrews and Forbes Holdings, Inc. Ms. Townsend was a corporate partner at the law firm of Baker Botts, LLP. Previously, she served as Assistant to President George W. Bush for Homeland Security and Counterterrorism and chaired the Homeland Security Council from May 2004 until January 2008. 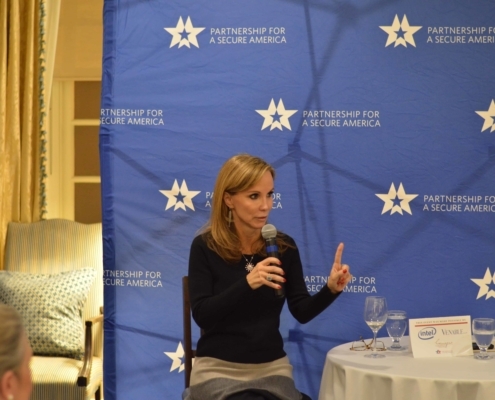 She previously served as Deputy Assistant to the President and Deputy National Security Advisor for Combating Terrorism from May 2003 to May 2004. Ms. Townsend is a contributor for CNN as a counterterrorism, national and homeland security expert. Prior to serving the President, Ms. Townsend was the first Assistant Commandant for Intelligence for the U. S. Coast Guard. Before that, Ms. Townsend spent 13 years at the U.S. Department of Justice under the administrations of President George H. W. Bush, President Bill Clinton and President George W. Bush. Ms. Townsend is a Director and chairs the compensation committees of 2 private company Boards. She serves on numerous government advisory and nonprofit boards. Ms. Townsend chairs the Board of the Intelligence and National Security Alliance. She is also a member of the Council on Foreign Relations and the Trilateral Commission.